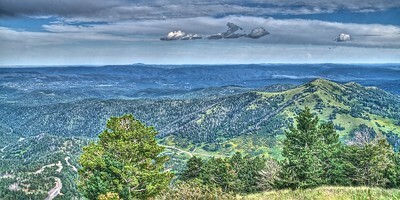 View from the overlook on the road to Ski Apache on Sierra Blanca Peak, near Ruidoso. 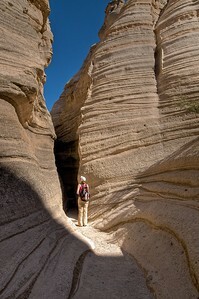 The entrance into the slot canyon at Tent Rocks. 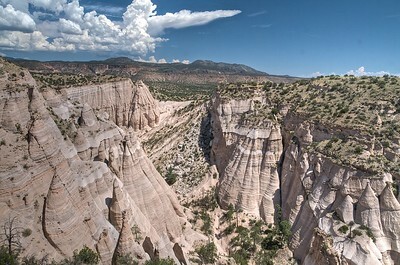 The most spectacular place I visited during a week in New Mexico was Tent Rocks. 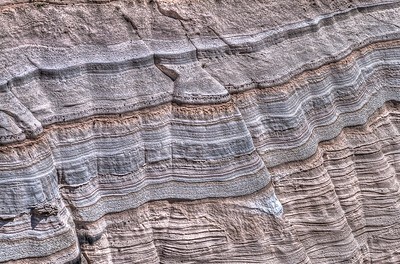 Volcanic eruptions millions of years ago left layers of pumice, ash and tuff (and bits of glass and rock). 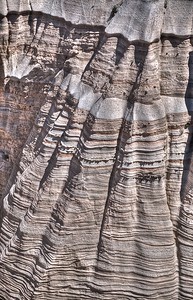 Rain and wind have cut away large sections of the land, leaving cone-shaped rock formations, intricate canyons and hypnotizing patterns. 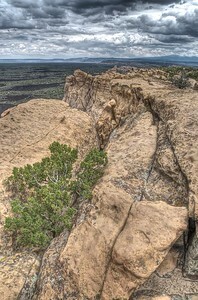 Canyon Walls at Kasha-Katuwe Tent Rocks National Monument. 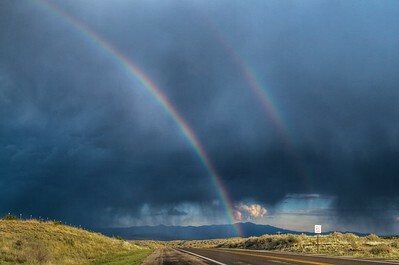 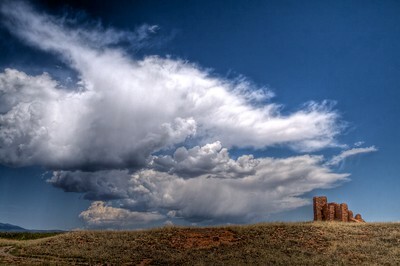 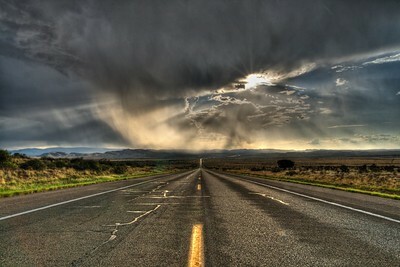 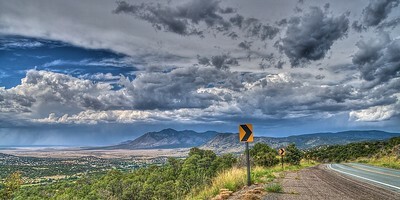 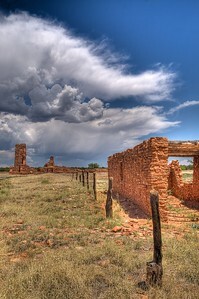 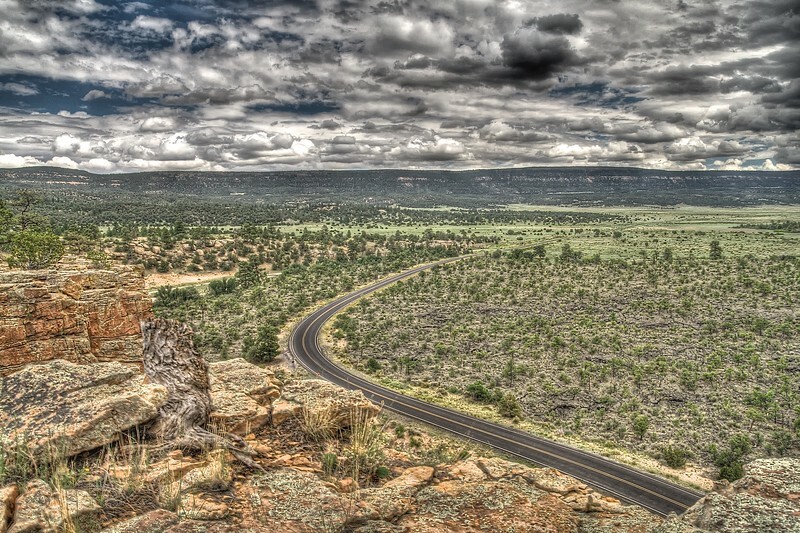 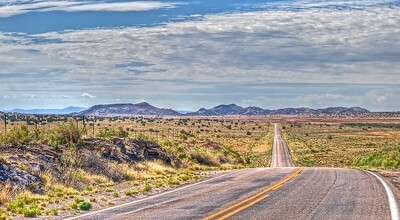 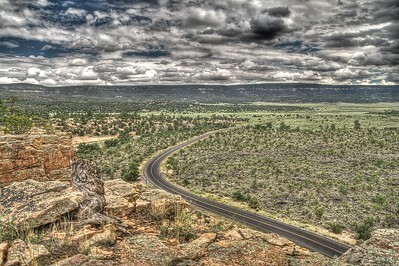 New Mexico Highway 6, which was US Route 66 from 1926 to 1937, west of Los Lunas. 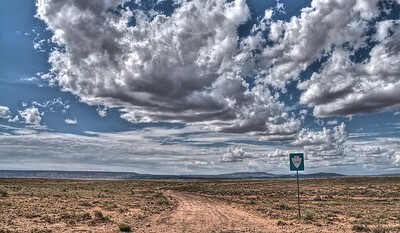 I was so surprised that this tiny little dirt track, which appeared to vanish well before the horizon, was marked by a sign, as though it were a recognizable highway. 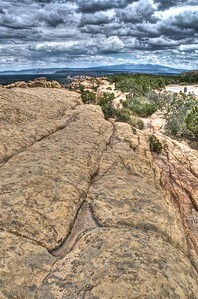 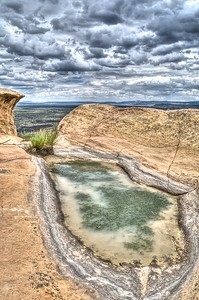 A shallow pool carved into sandstone bluffs at El Malpais National Monument. 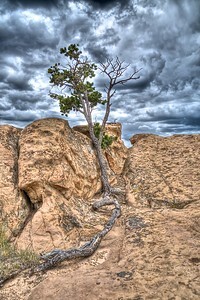 I'm not sure where this tree found anyplace to extend its roots; to me, it looked like it was precariously perched atop the Sandstone Bluffs in El Malpais.